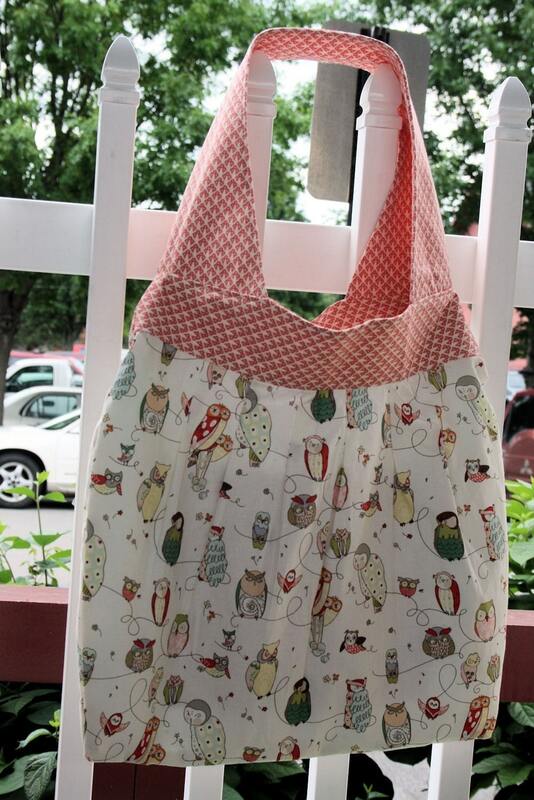 Grosgrain: Sew Cute Shop Amy Butler Birdie Sling GUEST GIVEAWAY!!!! CLOSED. Sew Cute Shop Amy Butler Birdie Sling GUEST GIVEAWAY!!!! CLOSED. Don't you just love shopping? Don't you just love shopping AND helping a good cause? 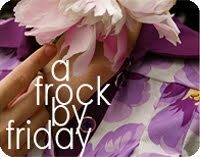 Brandy Christian sews the trendiest Amy Butler accessories, shirts and household items in all her best fabric lines. You choose the Amy Butler fabric and Brandy sews the pattern. This giveaway is for Amy Butler Birdie Sling w/ 2 large pockets featured, sewed by Sew Cute Shop with an Amy Butler fabric of your choice. In early March 2009 a dear friend's son was diagnosed with a brain disease called Adrenoleukodystrophy (ALD). Currently Riley (6) and his parents (teamgreene) are at Duke Univ. Hospital receiving bone marrow transplants. All proceeds from the sale of items listed in Sew Cute Shop will be donated to Riley and his parents. 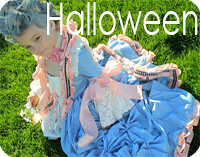 Just mention Grosgrain in your order and receive 10% off. Refund will be applied after payment through paypal. 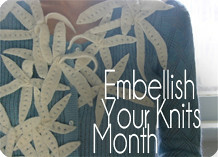 The winner of this giveaway can PICK THE FABRIC OF THEIR CHOICE. Up to 3 can be used. She has tons so please let her know what you are looking for. This sling does it all. Stylish diaper bag, trendy laptop carrier or every day favorite carry-it-all bags. 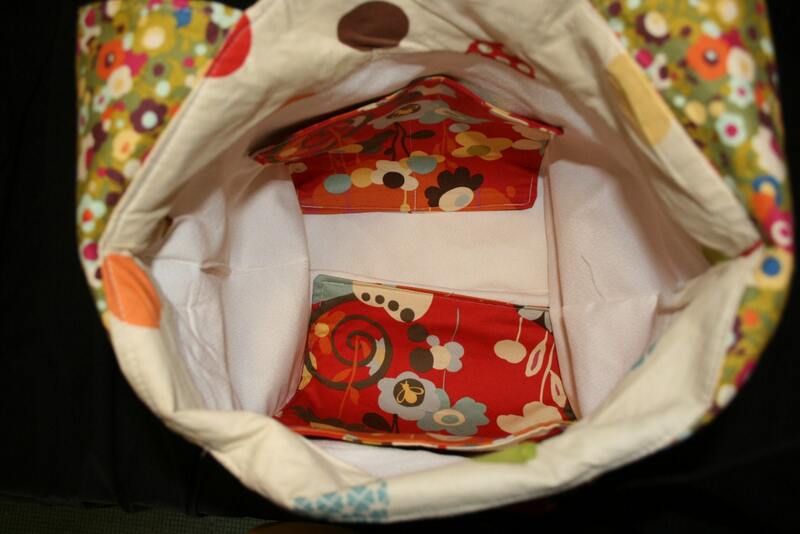 She's included two inner pockets to organize your life with same fabric as exterior bag. 28" tall w/handles x 18" wide. Brandy has a very quick turn-around-time. Typically she can have the bag in your hands within 10-14 days of cleared paypal payment. 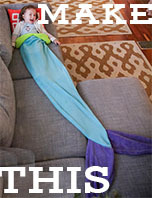 Even sooner if she has your fabric in stock! PLEASE READ: The Amy Butler Lotus and Belle lines have been discontinued. This fabric is not available for the giveaway. They are starting to get very, very hard to find and very expensive. PLEASE CONTACT HER before ordering any item in this fabric. The lines includes: All Colors Full Moon, Morning Glory Linen, All Wallflower Colors, Acanthus in Olive, and Olive Chrysanthemum. All items are made to order and handmade. If you see anything you like and want a special fabric CONVO her and she will set up a custom listing for you. Current wait time for custom orders: 7-10 days. If you need your order sooner than 7-10 days let her know and she will see what she can work out. 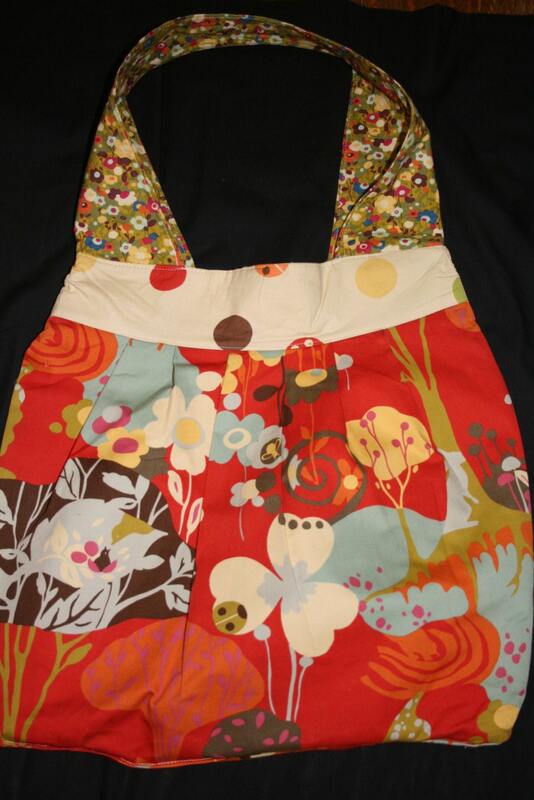 As usual, if you would like a chance to win this bag in fabric of your choice just link back to this post. If you have any questions see the "questions and answers" link to the right. If you use blogger just use the "create a link" link at the bottom of this post. If you don't use blogger, that's fine too. Just create a link on your page as you normally would and I will see it using Technorati. ahh! adorable. i love it and i'm already lusting after it. seriously, if i dont win the giveaway, i may just have to buy one fore myself anyawys. Ooohh so fun, I posted a link to this post in my sidebar! This bag is too cute for words! What a CUTE bag! I linked back to it on my blog! I love the fabric!!! SO CUTE!!! I love it!! Created a link. super cute!! and big enough for candy at the movies! 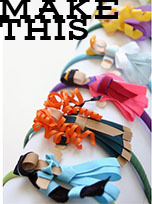 I love Grosgrain and all your amazing giveaways! This is such a fun bag, thanks Sew Cute Shop for the chance to win one! Linked to the Blog and giveaway! This bag is adorable. I've been looking for a cute bag to use as a diaper bag rather than the oh so boring one I got from the hospital. I posted the link to my blog. These are SO cute! I could use a new diaper bag//purse! I've already linked back! LOVE it!!! Would make a really cute diaper bag!!! I've put a link to this on my blog. I love this bag, and am definitely going to try and get hold of the pattern!! It's such a useful size - especially for all my Gemma Junk! I'm posting a photo link in my sidebar. I have loved these bags forever but never bought a pattern or can find a store where I can buy the fabric. So winning one already made would be even better. Oh, pick me, pick me! These are fabulous. Created a link. Seriously beautiful! Love it...created link! What a great give away! Please count me in. Hi - thanks for another great giveaway - I posted a link. I agree, this looks like a great diaper bag! By the way, I clicked on the links to the fabric, but neither one worked for me. I love the sling bag. It would be difficult to only choose three fabric choices though, but what a great "worry" to have. Thanks for the opportunity to win another great prize. I've saw bags like this at 4th of July carnival. Soooo Cute! it would be hard to pick a favorite, but I'll give it my best. These are beautiful! What handy bags. If only I could sew like that... Thanks for the giveaway offering. I love that bag! I had a friend make one and have been eying it ever since! I love it! I've never entered a giveaway before but I'd sure like to win. Linked it! I was just saying today how I need a bag for church to carry my books and the kids toys, but couldn't find a non-bland one. This would be perfect, in any fabric! Adorable! What a fun little bag..so many cute fabric choices. Oh, man, that red bag is cute. And she has so many fabrics to choose from...I think my head may explode. I love love love these bags!! I created a link! Love it! I've added a link! I love it! I added the link! what a darling bag! would be perfect for running errands! I really love this, I can think of so many fun uses...pick me...PLEASE!!! I added a link to my blog. Oh I have linked it too, what a wonderful giveaway! Wow!! So nice... At CouponPundits site I also found many handbags with many coupons..
i love a good bag. this is fantastic! Oh my, I love these bags!! 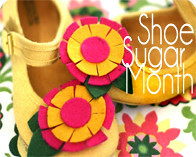 Link added to the sidebar in my blog! Love the bag...it's so cute and it's agreat cause too. I created a link. I hope a win. Thanks for the chance to win. Such a cute bag! I love it! I would love a fun sling bag! Added the link. Love the bag, for a diaper bag/purse - and I posted the link! It's really lovely, trop mignon !! I would really like to be the winner ! I will post the link on my blog tomorrow but as allways I suppose Technorati will not find it. I really adore u for doing such an amazing work for such a good cause. I love Amy Butler patterns and fabric! I'm not sure if it's too late for this giveaway, but might as well try. I posted a link -- the bags are too cute! I posted a link... what a great giveaway! 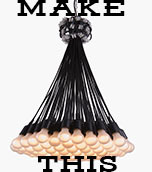 I posted a link for this perfect bag!!! Fingers crossed! I posted a link! Great contest! Amazing... Pick me! pick me! Thanks so much for another great giveaway. Those are so cute! Me want! How lovely. I would love to win this. What a wonderful giveaway, the bag is fantastic. I would really love to make it. That is so cute! I added the link. Would love this bag-- thanks! I am big fan Amy bags,I would love to get one in my favorite colors. I love the BirdieSling Bag-looks roomy for all my stuff! I will be back, soon. Absolutely stunning....I would be honored to carry this beautiful sling around! beautiful - I love Sew Cute Shop!! LOVE this bag, I have been wanting one for a while!